Agence spécialisée en Application web, Création de site internet. We bring digital initiatives to life. We shape, build and grow ideas into product-market-fit. From zero to one. From one to many. Shape: We define a digital strategy and we use iterative prototyping to align teams in organisations large and small. We create a user interface and a user experience that matches the objectives. Build: For our development services we work according to Devops best practices (code - build - test - package - release - configure - monitor). For Content Management Systems, Drupal is our CMS of choice because of its power and flexibility. Grow: There is no bigger challenge than growing an online product or website. Our approach starts from the basics (digital marketing settings) all the way to automated marketing flows that structurally enable growth. We target long-term partnerships with organisations that truly believe that (a part of) their future is digital. We love to partner up from start to finish, and to commit to result. We work in a lean matter. We're famous for our enthousiasm. Always up for a chat! We build online platforms for specific industries or organisations. We have the necessary tooling, processes and workflow in place to take teams from an initial ideation phase all the way to a finished product: Shape - Build - Grow. Growing an online platform requires continuous measuring and tweaking, we aim to build lasting partnerships with a clear focus on growth. We love to conceptualise, design and build websites that perfectly match a client's objectives. A website is a crucial instrument to capture interest, generate leads, function as an information portal, and so much more. We use open source CMS technologies, with a preference for Drupal (8). Don't hesitate to get in touch! We conceptualized and built a wonderful platform for Going Kolombo. 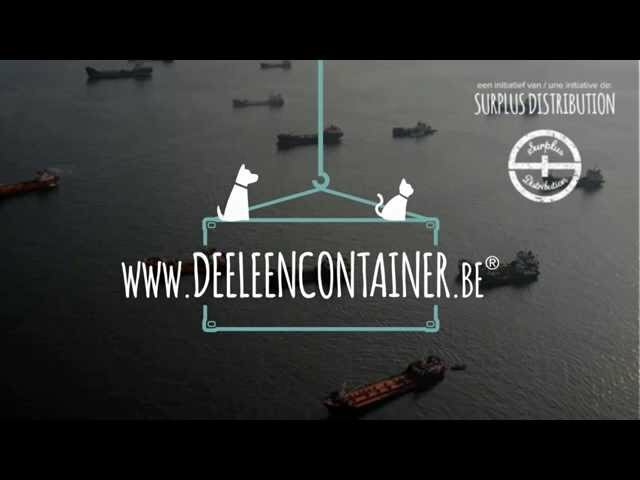 Deel Een Container allows for pet supply stores to order products in batches from a container. Once all batches are ordered, the container gets shipped. The business case behind Deel Een Container is solid, because at all times it guarantees the lowest price on the market for this type of products, and it takes away all the risk and inventory for their own company. We believe this type of unique approaches is the future of online sales. A tailored website design and custom CMS that highly focuses on Crossbridge's business objective to capture interest from your graduates as well as potential clients. Check it out at www.crossbridge.be. Insurit provides a management dashboard for Belfius insurance agents. It contains crucial features for supporting day-to-day operations with our cloud-based solution. Agents will automatically get calculated commissions of their salesmen's performances with detailed reporting per branch. There is a CRM system that bundles all customer interactions, a file system that gives an instant overview and search option for the most commonly used documents. And so much more. A tailored website design / look & feel / branding for a young marketing agency. We started from a long briefing expressing the essence of their services. All creative work from there on out was done by our team in close collaboration with the client. Feel free to check it out at www.spiceagency.be. We conceptualized, designed and built a custom website for Storeganizer. Storeganizer is a business unit that is part of Conteyor. Feel free to check it out at www.storeganizer.com. Mustr is the ultimate support tool for PR agencies in their relationships with customers and interactions with PR contacts. You can manage and filter contacts, set up campaigns and receive insights from the campaign analytics. We continuously build, maintain and support Mustr in maturing and gaining traction in the PR world. Mustr is built with a REST architecture. PHP Symfony2 back-end with ReactJS front-end application. We were in charge of the architecture, functional analysis, UI/UX, and full programming implementation from start to finish. - Portfolio system: students can let the university know in which events they participated and they can get an official accreditation for the skills they attained. All information in the system is maintained by the various stakeholders. Students can create a profile where they enter their personal details: information about their courses, graduation year, interests, etc. Within the first month after going live, over 500 students signed up and 200+ vacancies were posted by 150+ companies. Now steadily growing and perfecting.